MOOYAH has a new addition to the franchise family! The “better burger” franchise opened a new location on March 25, 2019 in Sun Prairie, Wisconsin. MOOYAH already has several other locations in the Madison area, all of which have been popular and well-received. Josh Bergeson, the Franchise Owner for the new MOOYAH location, said that this success is what helped him decide to franchise with MOOYAH. This will be the Bergeson family’s third franchised restaurant. 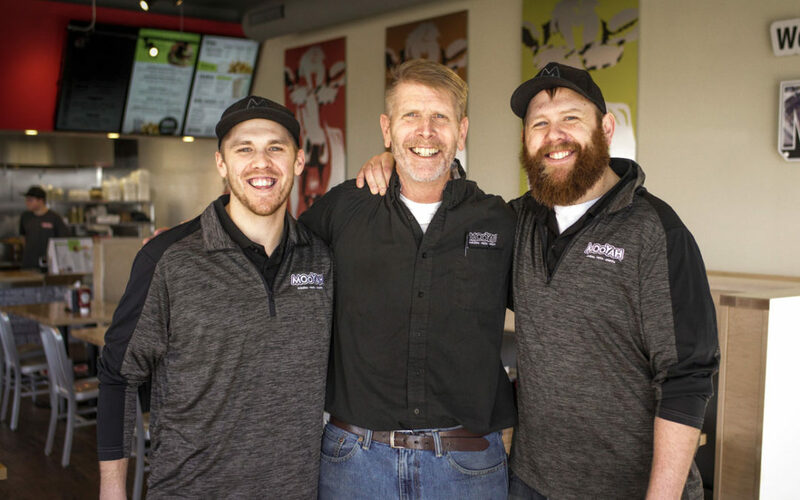 We at MOOYAH are very excited to be in business with the Bergesons, as they have demonstrated a great deal of knowledge in the restaurant business. 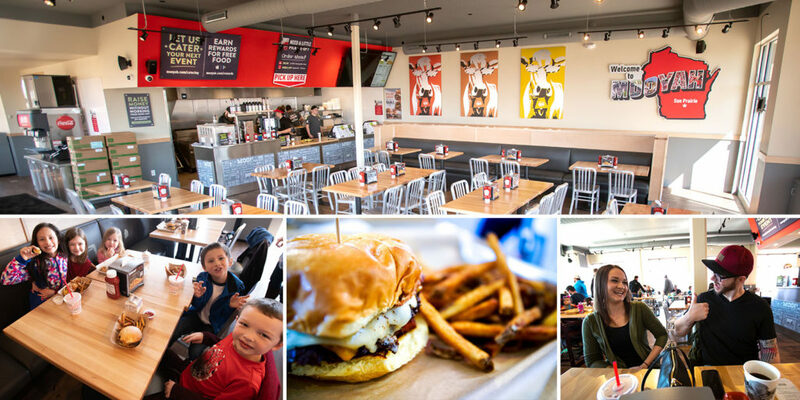 “The Bergeson family is a great representation of what the MOOYAH brand is all about – serving delicious food in local communities with an emphasis on a family friendly atmosphere and superior service,” said Anand Gala, Chairman of MOOYAH Burgers, Fries & Shakes. Fill out this form to receive our free franchise information kit. Interested in bringing a MOOYAH Burgers, Fries, & Shakes restaurant to your very own community? CLICK HERE to be taken to our franchising site which has all sorts of information on our successful “better burger” concept! And you best believe – we ARE better! All content © MOOYAH 2018 FRANCHISE OFFER This information is not intended as an offer to sell, or the solicitation of an offer to buy, a franchise. It is for information purposes only. Currently, the following states regulate the offer and sale of franchises: California, Hawaii, Illinois, Indiana, Maryland, Michigan, Minnesota, New York, North Dakota, Oregon, Rhode Island, South Dakota, Virginia, Washington, and Wisconsin. If you are a resident of one of these states, we will not offer you a franchise unless and until we have complied with applicable pre-sale registration and disclosure requirements in your jurisdiction. Franchise offerings are made by Franchise Disclosure Document only.